Prepare and prevail in the End of Times After 2012! 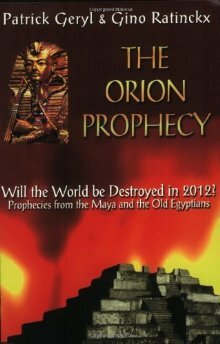 In his previous books, Patrick Geryl presented a detailed scenario set to take place in the year 2012: the complete and utter destruction which has occurred in Earth’s past and will occur again. The sun’s magnetic poles sometimes reverse, causing massive solar flares that lash out into the solar system. These disrupt the Earth’s magnetic field and reverse the Earth’s magnetic poles' rotational direction. The Earth’s outer crust will be thrown into chaos, with planet-wide earthquakes, volcanoes and tidal waves reshaping landmasses and seas in a matter of hours. Civilization as we know it will end as very few humans will survive. But the obstacles are not insurmountable. Here is a blueprint to survive the disaster. Geryl explains in detail the myriad problems survivors will encounter, and the precautions that need to be taken to overcome them. Thanks for this interesting and helpful material ..